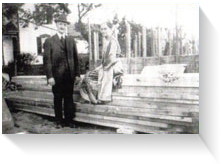 The Kitching Funeral Home was opened in its present location at 146 Mill St. N., Waterdown in 1923 by Mr. and Mrs. John Kitching. The funeral home was carried on in the Kitching family by Mr. and Mrs. Mervyn Kitching until 1963. 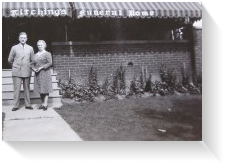 In 1963 Ron and Eleanor Steepe purchased the Kitching Funeral Home from Mr. Mervyn Kitching and a new chapter began in the 100 year history of the local family funeral home. After many years of hard work expanding the business and facility in stride with the community needs, and together raising three daughters alongside operating the funeral home, the Steepe's decided in 2004 that the time had come to turn a new page. Upon completing an extensive addition and renovation to the funeral home, and receiving a recognition from the Flamborough Chamber of Commerce for Business Growth and Achievement, it seemed the natural next step. "It was not an easy decision to make," Ron stated, "but the timing was right for the business to execute a plan of succession. We did not say good-bye to our endeavours, but looked forward to them being carried on into the next generation. We saw a good opportunity here to ensure that the funeral home remained family owned and operated by people committed to the local community." 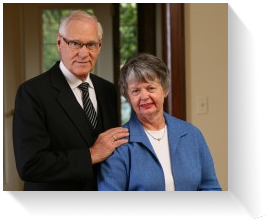 Since January 6, 2004 Rick and Denise Ludwig have owned Kitching-Steepe Funeral Home Limited, and assumed the day to day operation of the business.